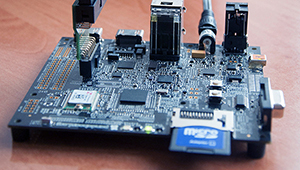 Our company offers services in the range of research, design and development for embedded systems. We provide support to any stage of development: from choosing the microprocesor, by making drivers, complete microcontroller modules, firmware / software, librarys for a clients applications, to document and prototyping system. We are experienced, flexible group of experts in the field of IT, software development and digital technology. We are open to customer needs. In our work we use many platforms (ARM, Cortex, M32R,Power PC, v850, ColdFire, Softcores). We encourage you to get to know our offer. Our company consists of engineering team which has an extensive knowledge, competence and experience in the following technologies. knowledge of software implementation of standards as: Misra-C, SIL-3, etc. knowledge and experience in the implementation of communication in embedded systems such as: CAN, SAE J1939, ModBus, Ethernet, USB, etc.